9th Wonder is one of the great Hip Hop producers to grace the title in this genre. He has a distinctive sound that is almost automatically recognizable, and he’s produced numerous hits over the years. Jay-Z is arguably the greatest rapper to ever rap. What happens when you take one of the greats’ best albums and throw dope beats over it? Well – this. 9th Wonder took it upon himself to revive Jay-Z’s real comeback album (Kingdom Come never happened for many) and throw his own specialty beats over Hov’s lyrics. This is a great listen, especially those who are ‘starving’ for some good music. 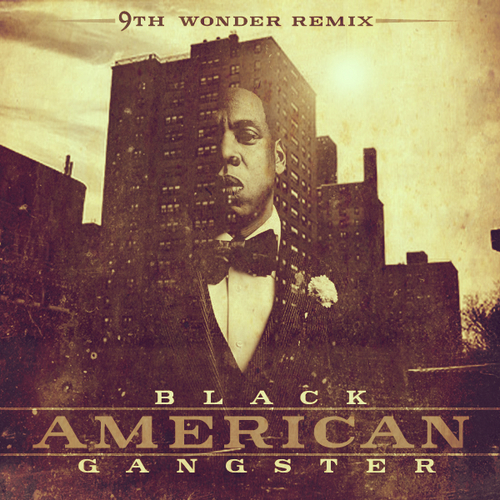 And if American Gangster is one of your favourite albums, and 9th Wonder is one of your favourite producers, I’m sure this is a dream collaboration. I wonder if 9th Wonder can salvage Blueprint 3 too…who knows; but it does need it. Enjoy this, however; it’s some good stuff.